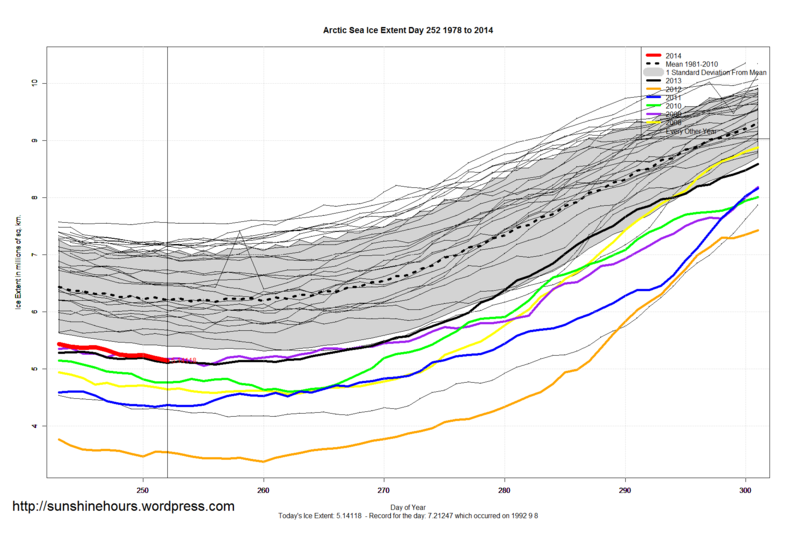 Arctic Sea Ice Extent Sept 10 2014 – -1,062,000 sq km below the 1981-2010 mean. Data for Day 252. Data here. 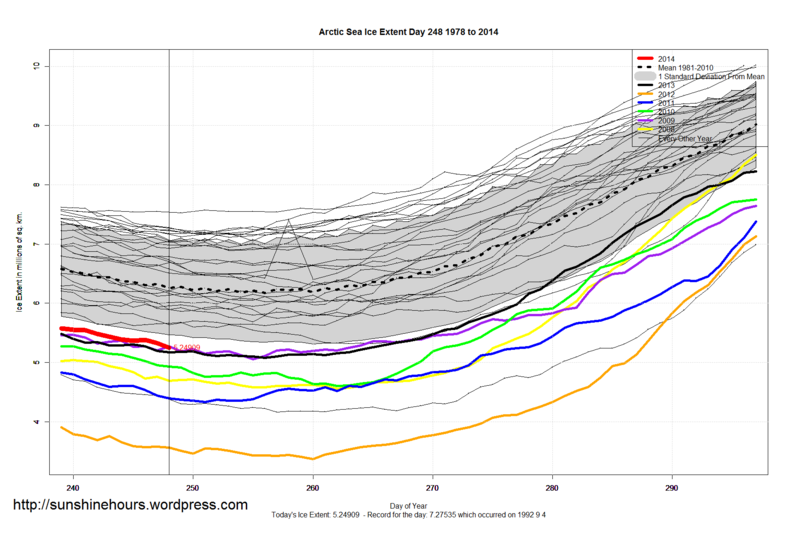 Arctic Sea Ice Extent Sep 09 2014 – -1,063,000 sq km below the 1981-2010 mean. Data for Day 251. Data here. 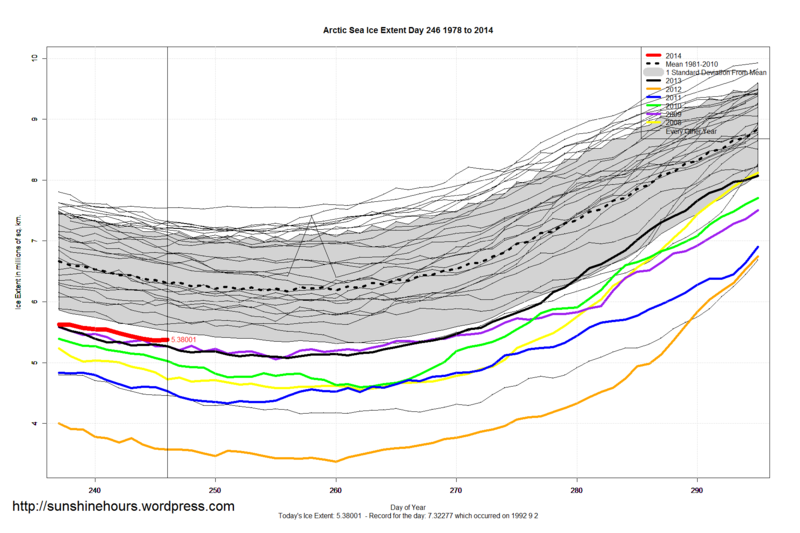 Arctic Sea Ice Extent Sep 08 2014 – -976,000 sq km below the 1981-2010 mean. Data for Day 250. Data here. 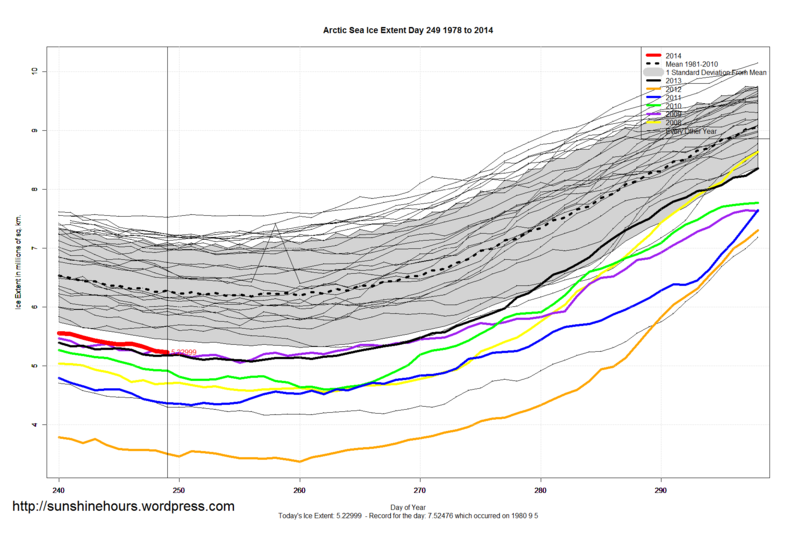 Arctic Sea Ice Extent Sep 07 2014 – -1,045,000 sq km below the 1981-2010 mean. Data for Day 249. Data here. 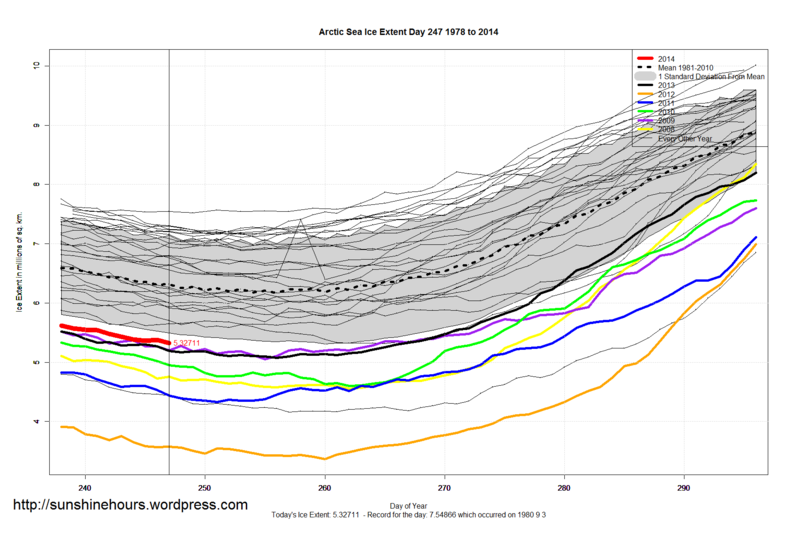 Arctic Sea Ice Extent Sep 06 2014 – -1,007,000 sq km below the 1981-2010 mean. Data for Day 248. Data here. 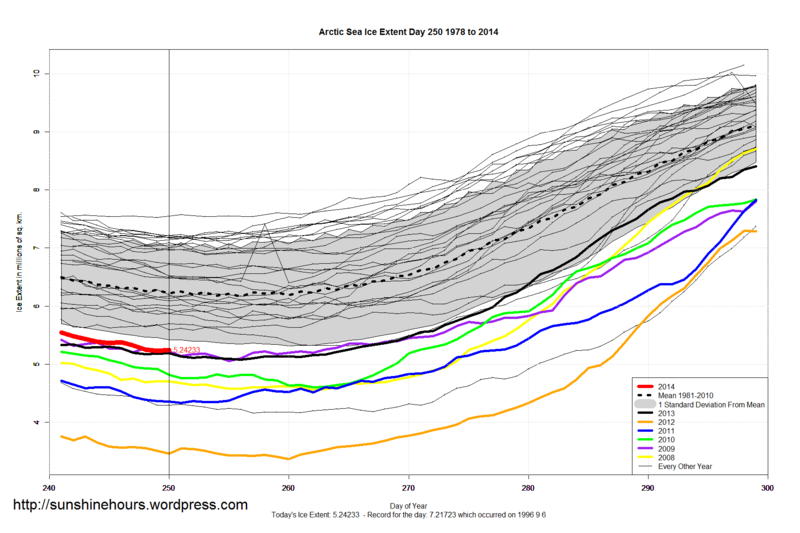 Arctic Sea Ice Extent Sep 05 2014 – -991,000 sq km below the 1981-2010 mean. Data for Day 247. Data here. 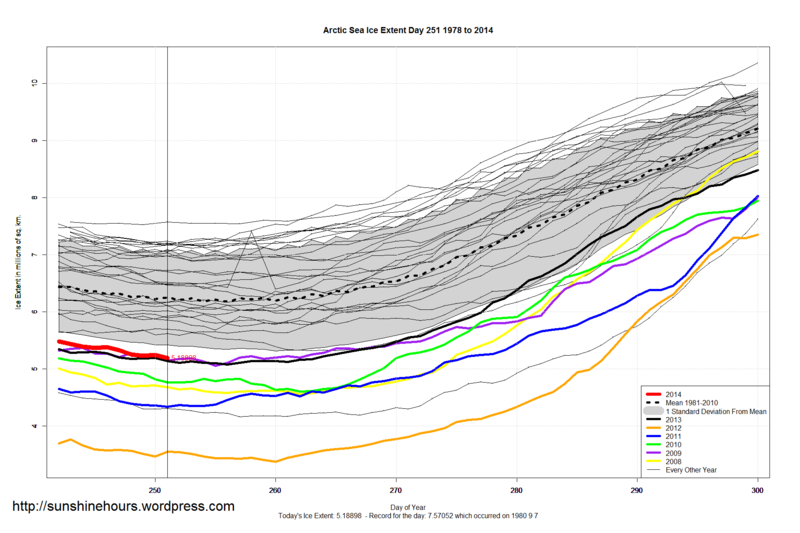 Arctic Sea Ice Extent Sep 04 2014 – -929,000 sq km below the 1981-2010 mean. Data for Day 246. Data here.